Both your short and long games will be tested on this interesting mix of holes while you enjoy the natural beauty of the marsh vistas. Don't forget to pause along the way to catch a glimpse at the birds and animals who have made our island their home! At 3,564 yards, this is the longest of our three nines. In order to successfully navigate the course, you must use all of your golf skills. Long accurate drives, calculated second shots, and precision play of the par 3s will ensure a successful round. 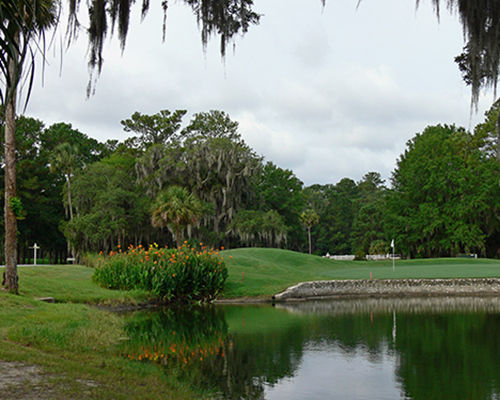 Well-positioned ponds present a challenge on seven holes of the 3,443 yard nine-hole course. Conservative course management, precise positioning, and a soft putting stroke will provide you with the maximum enjoyment on these excellent nine holes. Both your short and long games will be tested on this interesting mix of holes while you enjoy the natural beauty of the scenic marsh vistas. Don't forget to pause along the way to catch a glimpse at the birds and animals who have made our peaceful island their home! 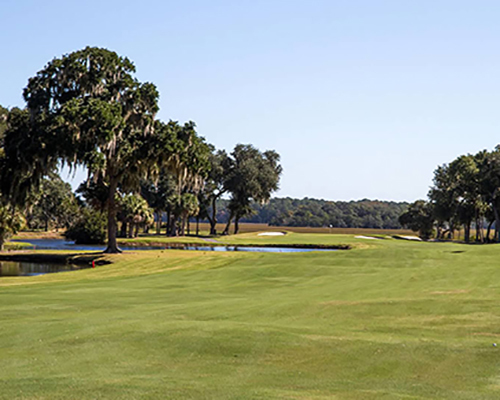 At 3,564 yards, this is the longest of Callawassie Island's three nines. 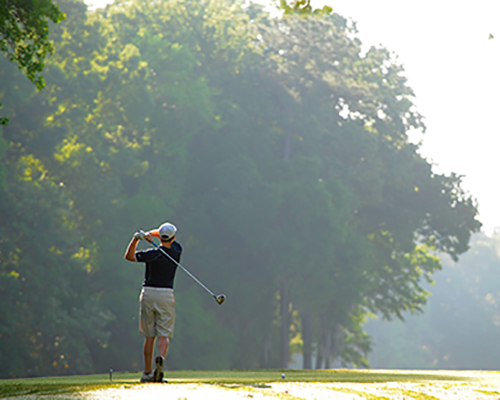 In order to successfully navigate the course, you must utilize all of your golf skills. Long accurate drives, calculated second shots, as well as precision play of the par 3s will ensure a successful round.